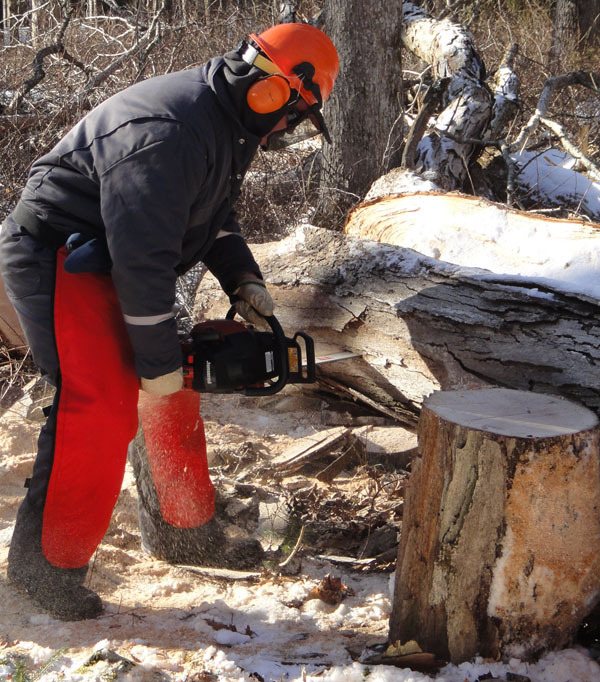 Chainsaw Certification Workshop - for active trail volunteers. Closed to outside registration. Workshop will focus on enhancing skills of our existing sawyers with intensive training given to new sawyers. Chainsaw certification is necessary to use a chainsaw on Trail Conference managed trails if permitted by the land manager. Priority for this course is given to our existing sawyers needing re-certification, as well as to those who work on the AT. Current First Aid/CPR is a requirement of certification. Students do not need to own a chainsaw to attend, but it is preferrable that you bring a chainsaw and PPE if you have them. This course helps you gain or brush up on the skills to identify and mitigate hazards concerning bucking, limbing and eliminating spring poles with a chainsaw. Focus is placed on safe chainsaw use.